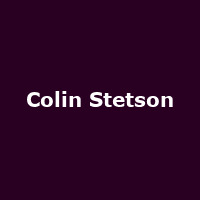 Colin Stetson is an American saxophonist and multireedist from Michigan. He has collaborated with the likes of David Gilmour, Arcade Fire, Bon Iver, Bell Orchestre, Animal Collective, BadBadNotGood and Sarah Neufeld amongst others. He released his debut solo album, "Slow Descent" in 2003, followed by: "New History Warfare Vol. 1" (2007), "New History Warfare Vol. 2: Judges" (2011), "New History Warfare Vol. 3: To See More Light" (2013), "Sorrow: A Reimagining of Gorecki's 3rd Symphony" (2016) and 2017's: "All This I Do For Glory".